See for yourself what awaits you at the University of Louisville. The best way to picture yourself at UofL is to visit us in person. Our park-like, dynamic and safe campus is home to state-of-the-art facilities, world-class faculty, and an academically exceptional and diverse study body. Located in Kentucky's most culturally unique and economically thriving city, the University of Louisville is ready to welcome you with several specialized visit opportunities. 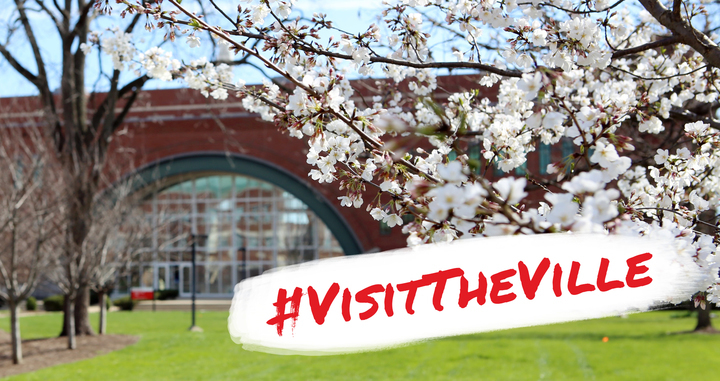 During your visit, use #VisitTheVille on Facebook, Instagram, and Twitter, and use custom geofilters on Snapchat to document your experience at UofL! Can't make it to campus? Take a Virtual Campus Tour!